The new collections are already in the shops and if you are a stylish man, you must have wondered what exactly should you look for. Once in a while menswear trends make a dramatic shift and it’s obvious that moment has come. The new direction is very global in spirit. So, what are your options? Let’s take a look at the top trends for the season of Spring and Summer 2014 when it comes to menswear. 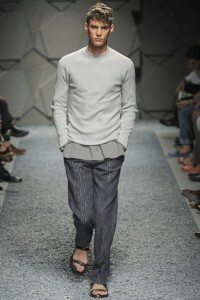 A bad news for all those men prone to spilling: head-to-toe white is arguably the most noticeable trend this season. 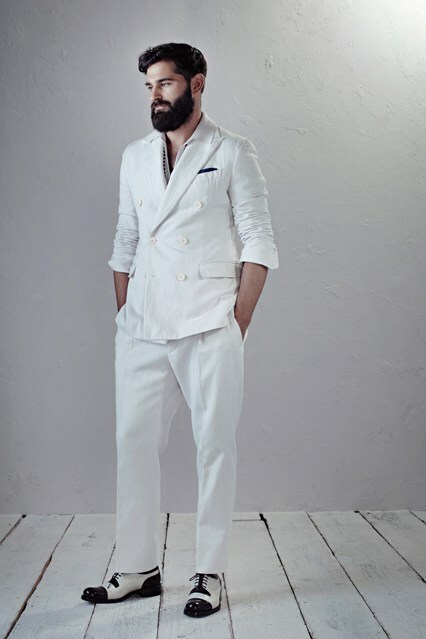 An essential item in summer wardrobe for a trendy man is a bright white suit. So, there is a plenty of time to practice hand-eye coordination. Also, think about adding an accent color to make your style more unique. When it comes to summer tailoring, a slim-fitting cotton suit is the perfect choice. This season, a lighter shade of grey is what you should be your go-to. But, we are not talking exclusively about suits. Sweaters, shorts, shoes – from concrete to a shade darker than white, grey is the trendy color this year. Big squares were a hot trend last season, now it’s time for big stripes. Even though horizontal patterns are the boldest way to follow this fashion trend, the block color stripes on suits are also worth considering. No matter what you choose, stripes will definitely catch everybody’s attention this season. 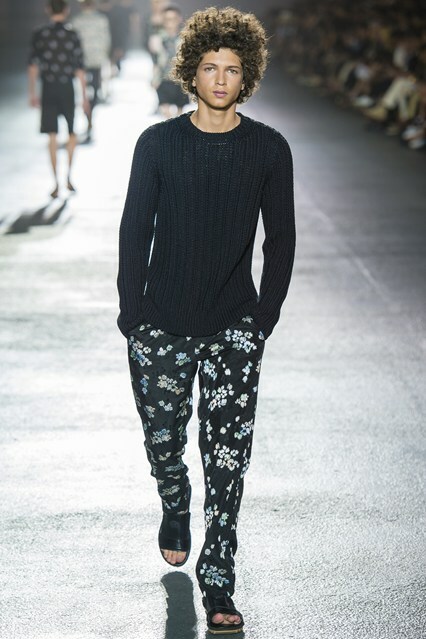 Floral is the print of the Spring/Summer season 2014, so get ready to flower up. If full-on print suit is not really your cup of tea, think about injecting some of the pattern into your summer wardrobe, such as floral swim shorts or Hawaiian holdalls. Forget about slim-fit shirting, the time has come to purchase one of loose-fitting tunics. Opt for regular or granddad collars and wear this clothing item under close-cut tailoring. Be brave and you’ll definitely look handsome and irresistible! Just when you thought that nothing you bought last year cannot be worn this season, we would like to cheer you up! Army-print is clearly set to stay! Don’t throw away those cargo trousers, buying them was a good call!